When Nebraska’s coaching staff took over the program, they had some catching up to do in recruiting. Due to the timing of when they arrived on campus and since they were coaching two teams at once, they have always been a little behind from where they wanted to be. After quickly completing the 2018 recruiting class and now wrapping up the 2019 group (while also doing a good job of hosting 2020 prospects), is the staff finally caught up? Coach Scott Frost was asked about that this week. “Just being honest, when you come in as a new coach you’re two years behind because you’re just trying to come in here,” Frost said at his signing day press conference. “We were just starting to look at 2019 guys last year that we could get to Nebraska in December. We’re a lot farther down the road now, looking at 2020s already in January, some 2021s. 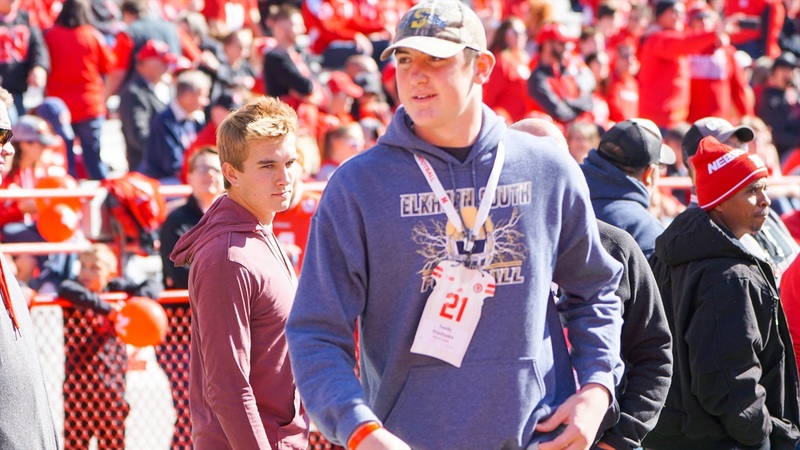 Now that the Huskers have evaluated and offered scholarships to a good number of 2020 prospects, they can also focus on getting where they need to be with the class of 2021. Recruiting for the next cycle is even more important these days now that the December signing period has become so big. The Huskers also have a number of 2020 targets looking to make decisions this spring or in the summer before their senior seasons start. We’ll start to see soon if that early 2020 work has paid off. >> The Huskers made an intriguing 2021 scholarship offer to Brock Vandagriff, a quarterback from Georgia who racked up 3,190 yards and 28 touchdowns through the air with 1,001 yards and 23 scores on the ground as a sophomore. >> Xavier Watts, the 2020 wide receiver from Omaha Burke, has a big-time cheering section at his basketball game and some new Huskers and former teammates came out to support him. >> I made the case for Travis Fisher being the MVP of the assistant coaches on the recruiting trail this season. >> Erin Sorensen told the story of Nebraska distance runner Ryan Bates saving the day and a dog.